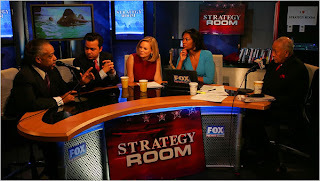 I'll be on FoxNews.com's Strategy room Monday morning (July 6) at 10am. Join us for a lively roundtable discussion of the hot political topics of the day....from Iraq, Iran and Afghanistan to Michael Jackson, Gov. Mark Sanford, Sarah Palin, Al Franken and the economy. Watch it live at www.foxnews.com/strategyroom.